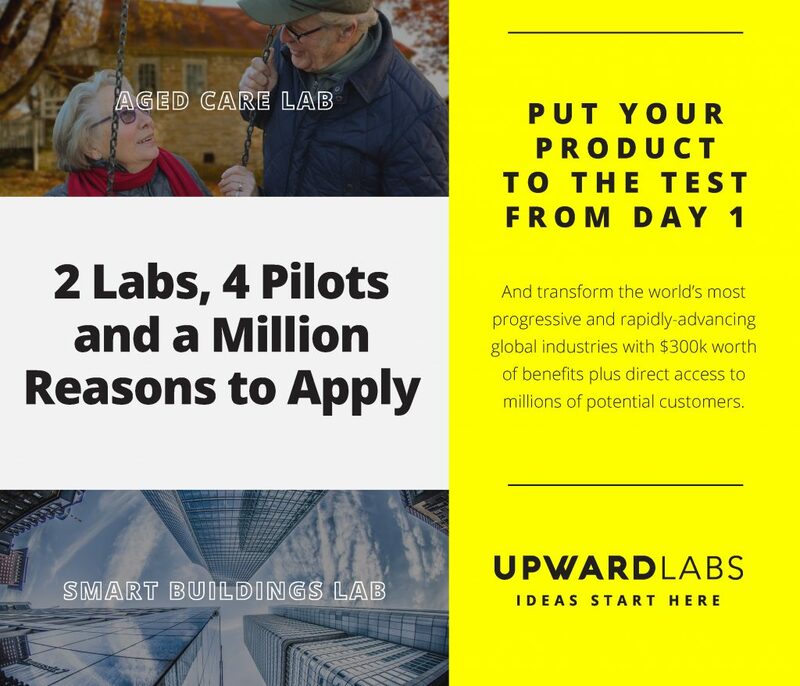 Upward Labs is a progressive, innovation facility designed to incubate the most game-changing ideas that move high-demand industries into a new paradigm. Based in Hartford, Connecticut, Upward Labs is positioned in the middle of some of the biggest players in the Insurance world, with strong connections to many of them, including Cigna, Aetna, The Hartford, Lincoln Financial and more. Every 6 months, Upward will select up to 10 startups (5 in Aged care, 5 in Smart Buildings) to participate in this hands-on, intensive program designed to prepare entrepreneurs for real-world applications by working with well-known commercial, residential and senior care program partners as well as Connecticut Based Fortune 500 companies. Upward Labs will be investing a total of $300,000 into each startup. This comes in the form of a mixture of cash, workspace + luxury co-living services, and pilots. This “Live, Work, Play” investment also includes a social programming calendar that seamlessly integrates out-of-towners into the vibrant Hartford community. Startups will also gain access to some of the world’s brightest and most curious minds through thoughtfully-selected key advisers committed to guiding entrepreneurs on their pilot journey. Aged Care and Smart Building technology have strong connections to insurance, as both fields have birthed innovations that have lead to shifts in the industry. Whether its a wearable in the aged care industry that helps insurers lower costs by making prevention easier, or a system of sensors created in the smart building field that alerts building owners and managers before a costly lapse occurs, the opportunities are endless.